For me, the most difficult card to make is for a friend who's lost a loved one. 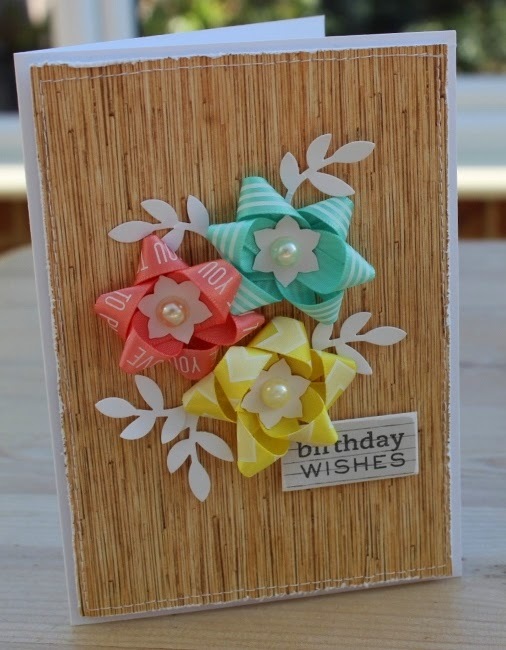 Simplicity is the key here, it just doesn't seem right to load the card down with embellishment. 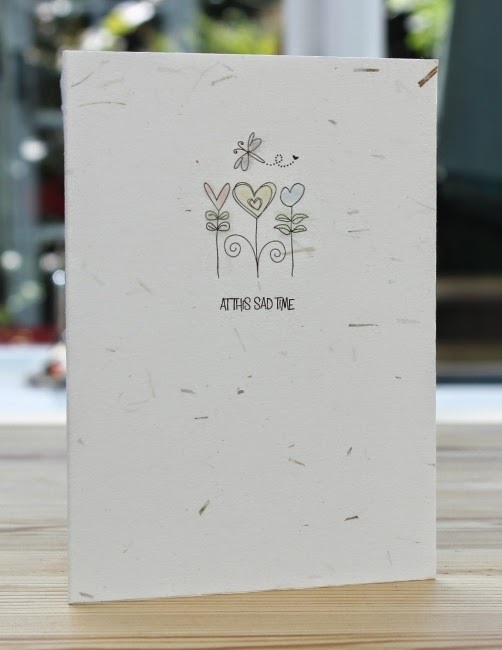 I've printed a line drawn digi stamp straight onto the front of a recycled A6 card blank from Paperchase, adding just a hint of colour with chalks. The flecks of colour in the recycled card give texture, warmth and add interest to an otherwise simple and some might say bland design. I love it! 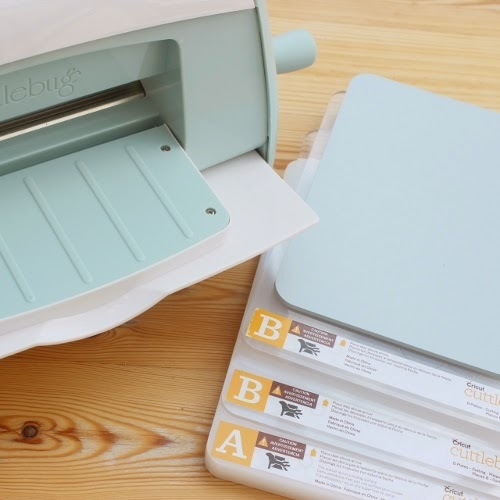 I was happy with my old Cuttlebug embosser and die cutter, apart from a paper trimmer and craft mat it was the first considered paper crafting tool I purchased. It has stood me in good stead for the past 5 years and I wouldn't be without it. Although being a lurid green it looks out of place in my neutral toned craft space! 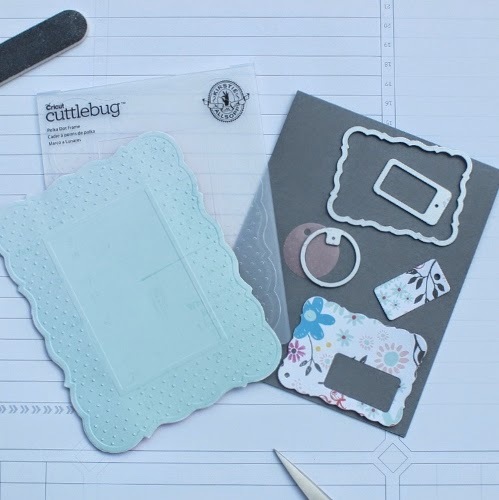 So when Cricut got in touch and asked if I'd like to sample the new Kirstie Allsopp Cuttlebug I jumped at the chance. Swayed by the new streamlined profile and retro styling, but mainly, if I'm honest, that the machine was designed in Kirstie's exclusive duck egg colour, a much better fit in my craft space, and that my 'B plates were getting kinda worn and needed replacing!! I've been using it regularly for over a month now and I've found it gives great results with both cutting and embossing. 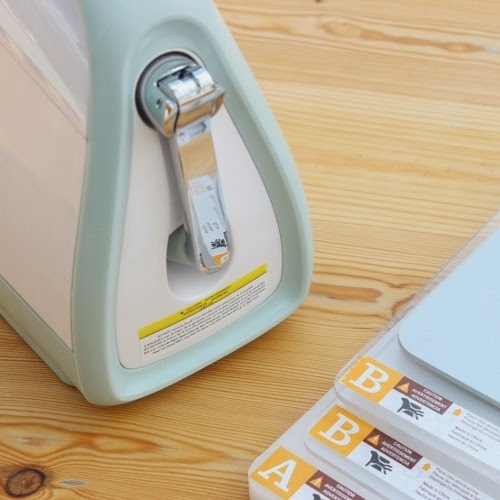 It comes with an 'A' plate, 2 'B' plates and instead of a 'C' plate as my old model, a rubber embossing/cutting mat which works better than the 'C' plate for cutting with thin metal dies - Spellbinders, Sizzix, Xcut and cArt- Us. I love how the handle tucks away when it's not in use! and an A2-size embossing folder: Polka Dot Frame. 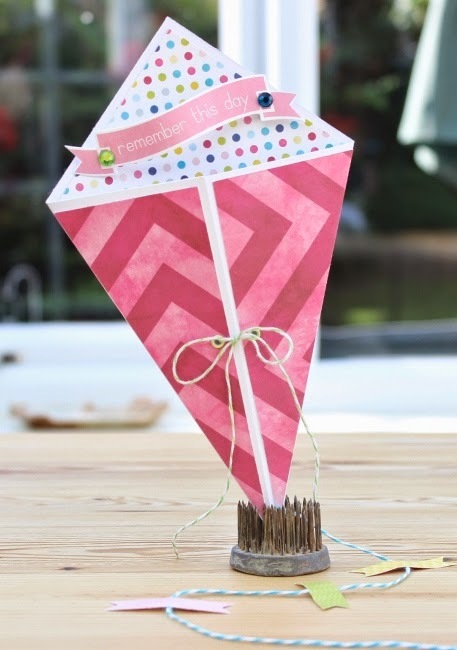 Our latest challenge over on the Let's Craft and Create blog is 'shaped cards', I've made a super easy kite card. Check out the blog for everything you need to enter and the prize on offer to one lucky winner.